A variation of this recipe appeared in Gourmet magazine in January of 2003. It caught my eye and I have been making it ever since. We usually serve the salad as a main course lunch, but divided into 4 or 6 servings it works well for a salade composé (already platted) for a company dinner. 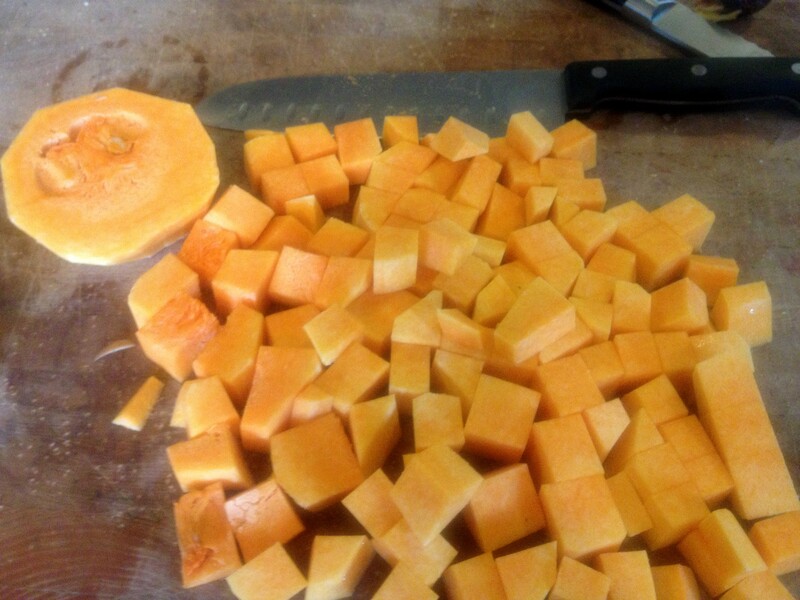 Peel the squash discarding the seeds and cut into ½ inch cubes. Line a baking pan with heavy duty foil. 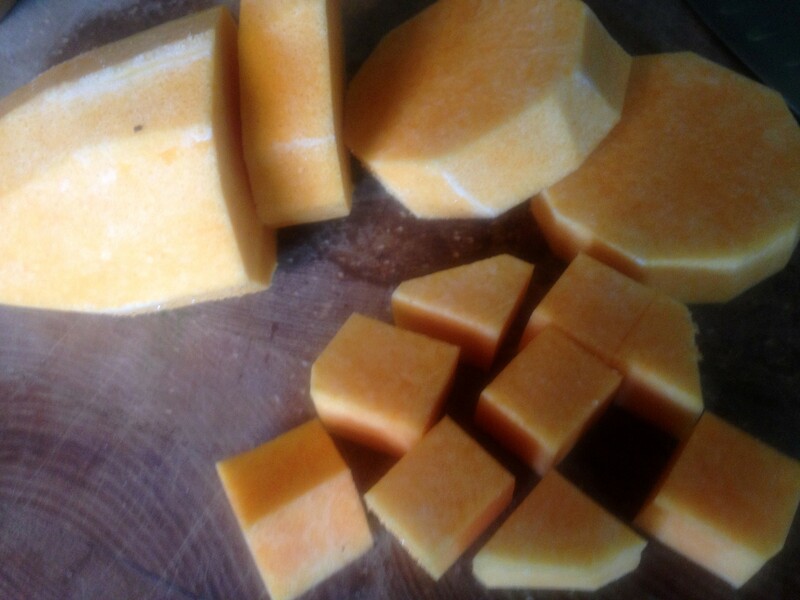 Sprinkle the squash cubes with salt and pepper to taste and toss in the 1 tablespoon of olive oil. Roast for 30 minutes, until brown around the edges. Allow to cool to room temperature. 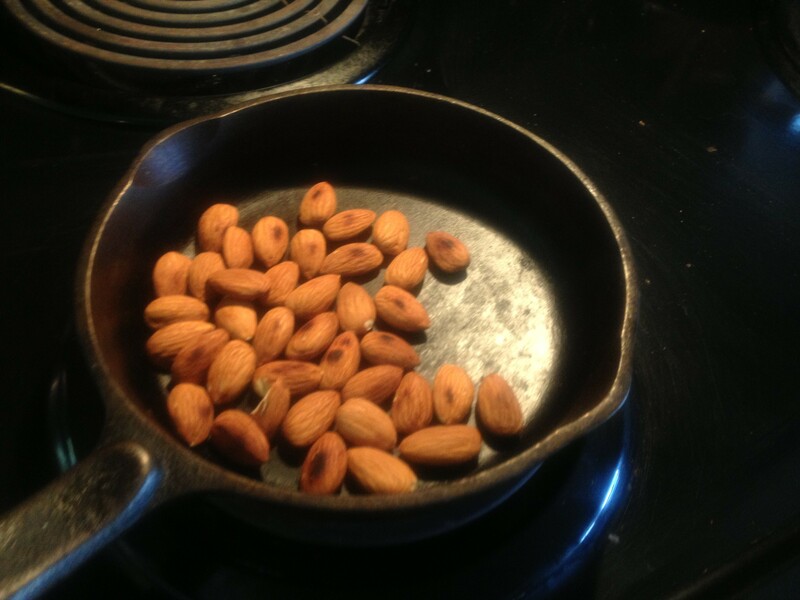 While the squash is roasting, toast the almonds in a heavy skillet over low heat until golden. 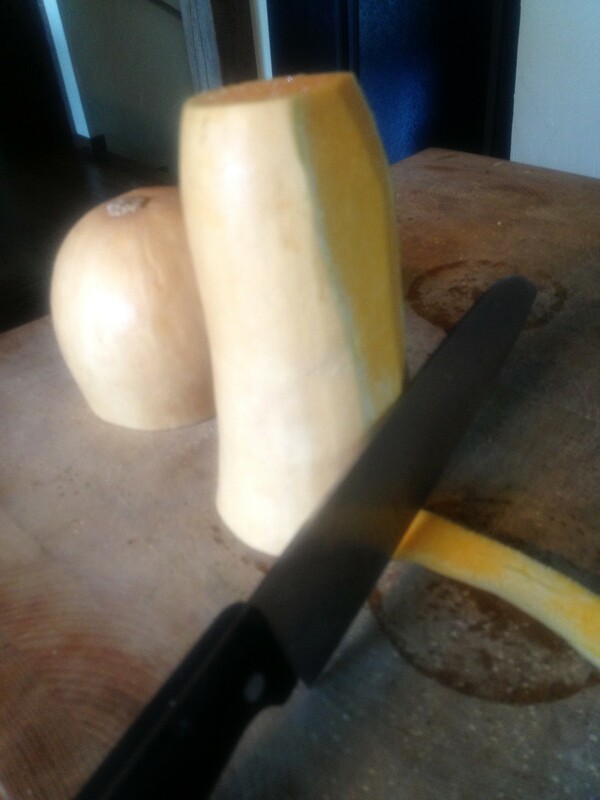 Chop coarsely. Wash and spin the spinach leaves. Mix all ingredients for the dressing and set aside. 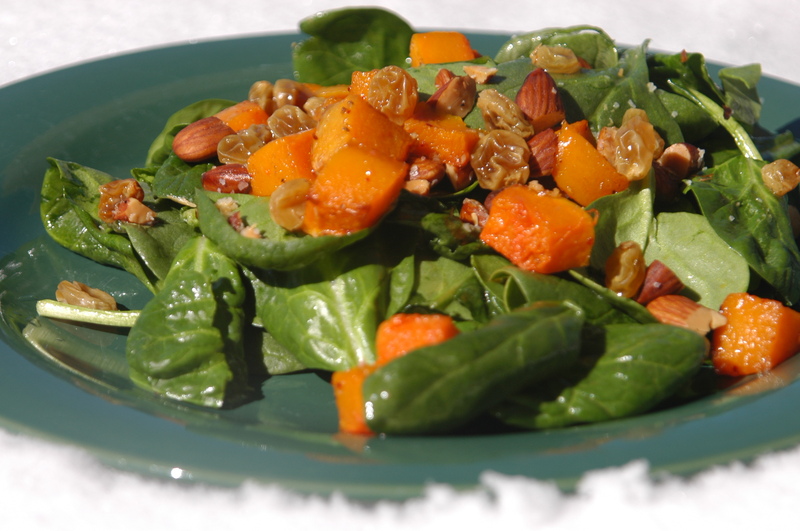 Toss the spinach with the dressing and distribute to plates. 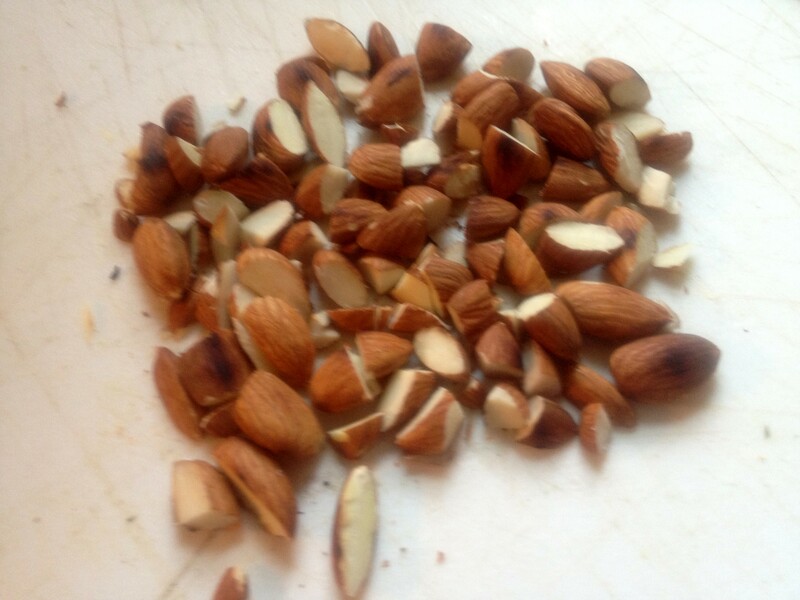 Arrange of the squash cubes, almonds, and raisins on top of the spinach and serve.